My first cover from Romania! This one is sent by Adrian, a member of Nice Cover Circuit in postcrossing forum. Three colorful stamps! 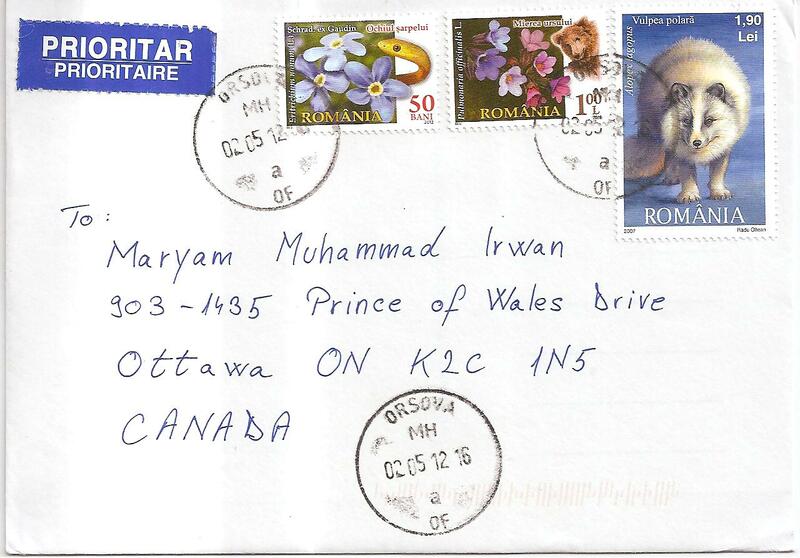 The postmark date is 2 May 2012, and the location is Orsova. 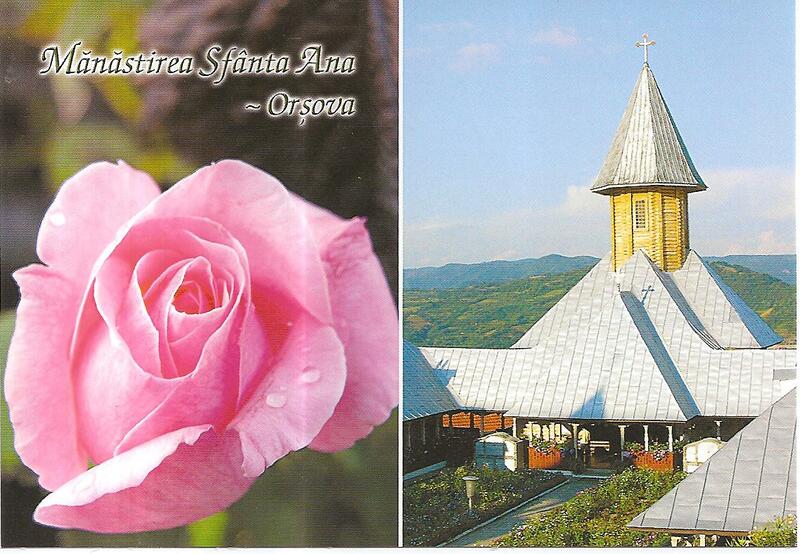 Inside, Adrian gave me a postcard that shows a picture of Saint Ana Monastery in Orsova, Romania. Thanks a lot Adrian for the cover and the postcard!